Two years ago, Trish and her kittens arrived at PAWS. Trish and one her kids, Charcoal, remain and think it’s high time someone adopted them. Like most kittens, 11-week-old Robbie likes both playing and chilling out. He’ll be glad you stopped by for a visit at the Champaign County Animal Welfare League. Stella, 2 1/2 years old, is a Lab mix currently residing at the Champaign County Animal Welfare League, but eager for a home of her own. Drop by and check her out. Scarlet Oak, about one year old, was among others fortunate to be involved in a rescue. Barely Used Pets caretakers say she is good with other dogs and with children, but will need house-training lessons. Hi Folks. My name is Trish and I’m around 3 1/2 years old. I came to PAWS in June of 2016 with a litter of kittens. One of my babies, Charcoal, is still here with me. I’m fully vetted, feline leukemia negative and spayed..Sometimes it takes me a little bit to warm up to people but when I do feel comfortable with you I love the attention..Don’t you think I deserve to be in my forever home cause I sure would like to be..If you would like to visit me please stop out during the following days & hours: Tuesday thru Friday 12 to 5 and Saturday 12 to 4 ( closed sunday & monday) at Paws Animal Shelter 1535 W St Rt 36 Urbana, Ohio 43078. 937-653-6233, pawsurbana@hotmail.com..We run on donations only and are always in the need of Laundry soap, Bleach, dryer sheets, Hand soap, paper towels, 39 gallon trash bags, Tall kitchen trash bags Purina cat & Kitten chow, Canned cat & kitten food ( the pate’ kind ), cat treats & toys, Purina dog & Puppy chow, canned dog food, dog treats. We also accept towels, blankets, cat & dog beds. Leashes, scoopable cat litter. We appreciate the support from the community. 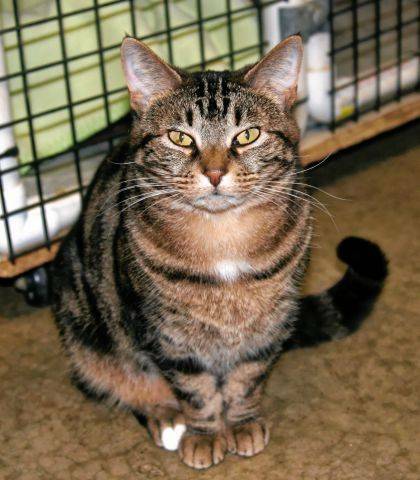 “When I’m with you, I’m feline good.” The Champaign County Animal Welfare League’s (CCAWL) cat of the week is Robbie. He is an 11-week-old orange tiger. Robbie is a very laid back boy who enjoys lying in a cat tree, but he also loves to play with toy mice. He is cat friendly and litter trained. Robbie is looking for a loving family who will give him all the attention he deserves. Robbie is neutered and microchipped and fully vaccinated including: FRCPP and worming. He has been tested for FeLV/FIV negative and is on flea prevention. Our adoption for Robbie is $50.00 cash, credit or debit card. For more information, please call us at 937-834-5236. Our hours are Wednesday through Saturday 12-6 pm (all adoptions stop at 5:30pm.) We are located at 3858 State Route 56, Mechanicsburg, OH 43044. CCAWL is a non-profit organization that relies on your support and donations. You may send donations through mail, PayPal, and Facebook. A list of supplies needed are listed on our webpage and can be found at www.champaigncoanimalwelfareleague.com. CCAWL is grateful for all the donations that have been given and we appreciate all support. “Dogs are like potato chips, it’s hard to have just one!” Stella is a 2 1/2-year-old Lab mix waiting patiently to find her forever home. She came to us as an owner surrender due to no fault of her own. Stella is very playful but also loves attention from people. She is good with other dogs and cats and has been raised around children. Stella is house trained, spayed and microchipped as well as current on vaccinations including the following: DA2PPL, Bivalent Flu, Bordetella, and Rabies. She has been heartworm tested and is on flea and tick prevention. An application may be found on our webpage www.champaigncoanimalwelfareleague.com or you may visit our facility. Our adoption fee is $150.00 cash, credit or debit only. Becoming a member of the Champaign County Animal Welfare League will give you access to our campus. We have 72 acres with ponds, trails, agility courses, indoor/outdoor dog park, petting zoo, grooming facility and much more! The membership fee is $150.00 per year for a family and $100.00 per year for an individual. My name is Scarlet Oak and I am one of the Woods dogs from Bump Road. We were so happy to be rescued. There were 15 of us ranging from about 12 weeks to 2 years. Several have been spayed and neutered and gone on to their new homes. I am a girl that will need to be house trained. I am good with other dogs, good with kids. They say I am a very friendly, smart girl. I am about a year old and am scheduled to spayed. I am also up to date on shots . My adoption fee is $150 and that includes my 2018 dog license. https://www.urbanacitizen.com/wp-content/uploads/sites/36/2018/04/web1_PAWScatWeb.jpgTwo years ago, Trish and her kittens arrived at PAWS. Trish and one her kids, Charcoal, remain and think it’s high time someone adopted them. 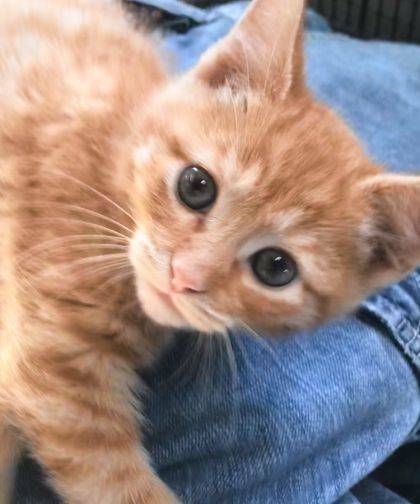 https://www.urbanacitizen.com/wp-content/uploads/sites/36/2018/04/web1_LeagueCatWeb-1.jpegLike most kittens, 11-week-old Robbie likes both playing and chilling out. He’ll be glad you stopped by for a visit at the Champaign County Animal Welfare League. 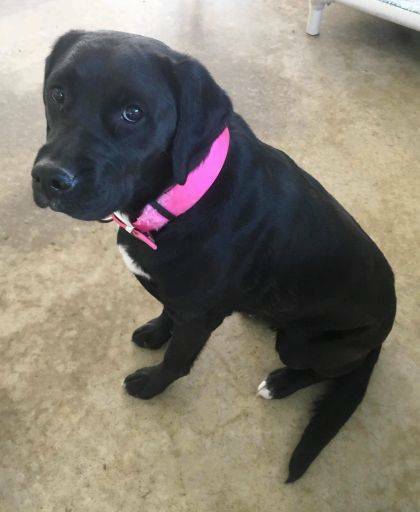 https://www.urbanacitizen.com/wp-content/uploads/sites/36/2018/04/web1_LeagueDogWeb.jpegStella, 2 1/2 years old, is a Lab mix currently residing at the Champaign County Animal Welfare League, but eager for a home of her own. Drop by and check her out. https://www.urbanacitizen.com/wp-content/uploads/sites/36/2018/04/web1_BarelyWeb-1.jpgScarlet Oak, about one year old, was among others fortunate to be involved in a rescue. Barely Used Pets caretakers say she is good with other dogs and with children, but will need house-training lessons. 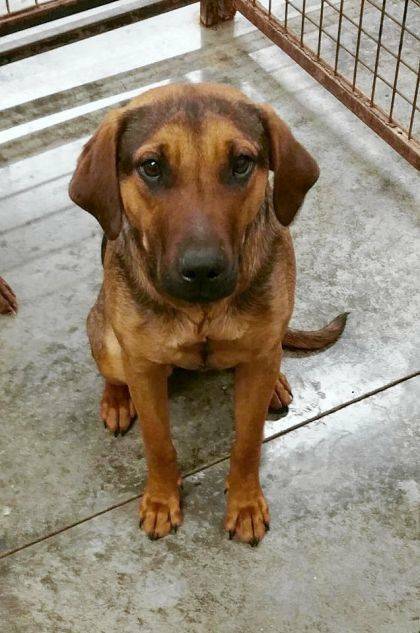 Submitted by Champaign County shelters and rescues.